As mentioned in our previous post, 2015 was a record breaking year for FEV Tutor in terms of the number of virtual tutoring sessions delivered. However, this year also marked another important milestone: this summer FEV Tutor released our own HTML5 native interactive whiteboard. 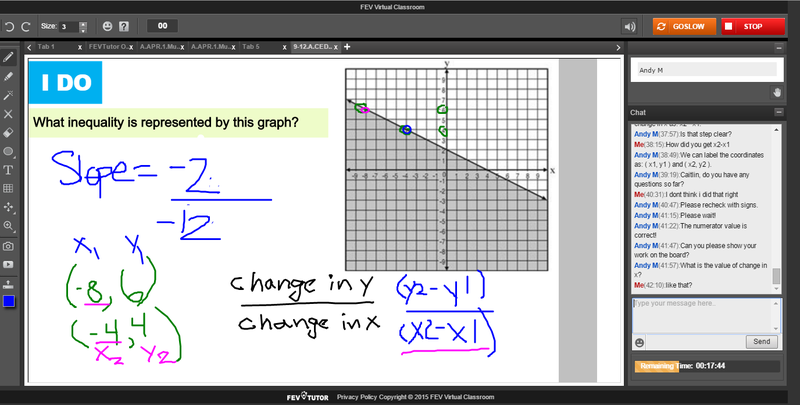 FEV's new proprietary whiteboard includes a number of enhancements from our previous versions and has helped FEV to improve the quality of our virtual tutoring! We are excited to announce FEV will also be releasing a new and improved iPad App in the first quarter of 2016 and introducing a series of upgrades to the FEV Tutoring Portal throughout the course of the New Year.